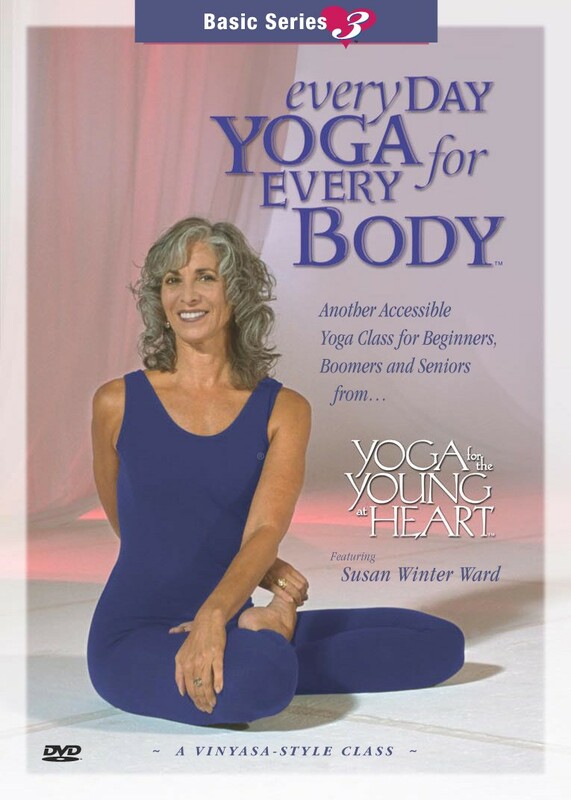 Every Day Yoga for Every Body features Susan teaching a class of inspiring BabyBoomers, as they move through a flowing yoga class to build higher levels of strength, flexibility and vitality, accompanied by uplifting celtic harp music. This class brings inspiration and direction to the large population of us facing the second half of life. Yoga for the Young at Heart supports those wanting to maintain or build strength of body, enhance peace of mind and develop a more intuitive connection with their inner spirit.